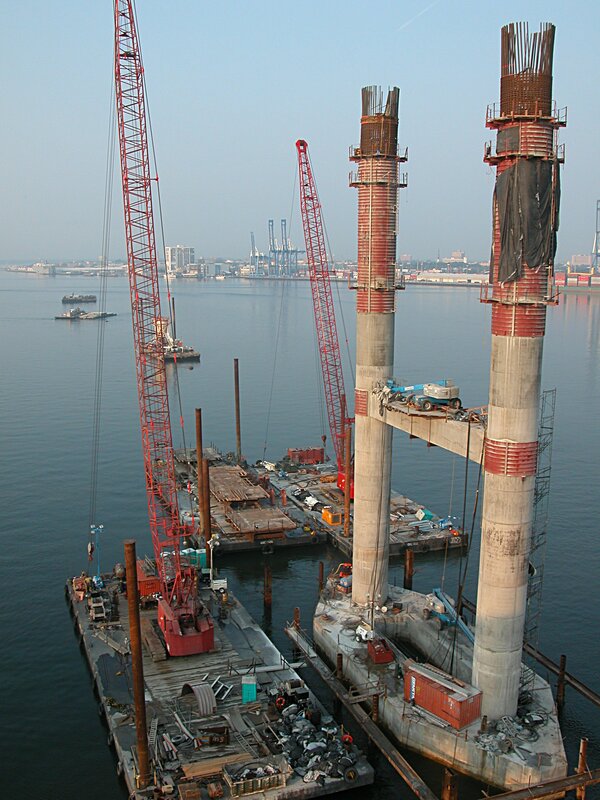 Staging the construction materials: cement trucks, cable anchors, forms etc. 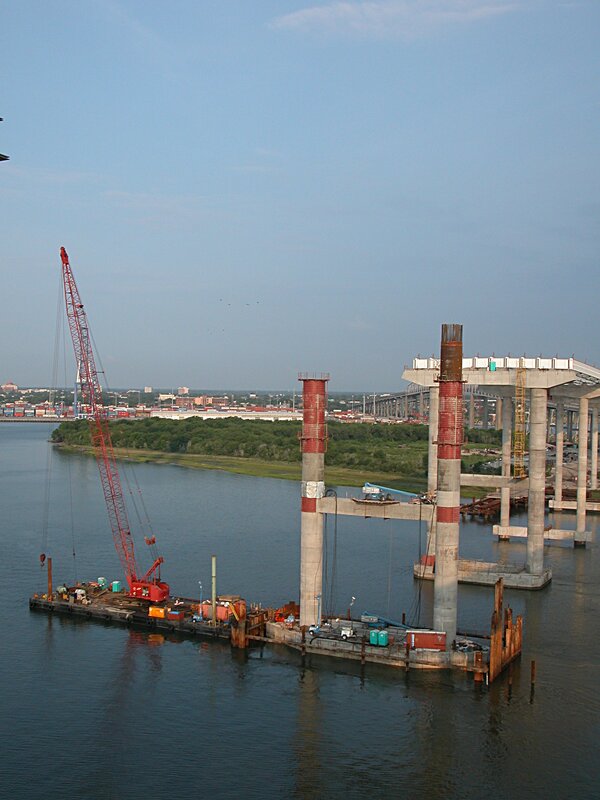 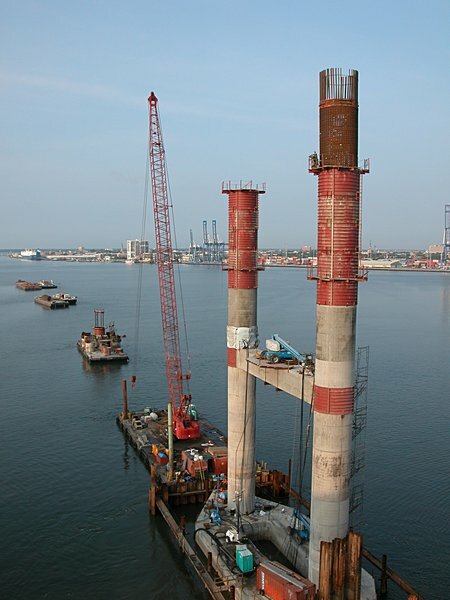 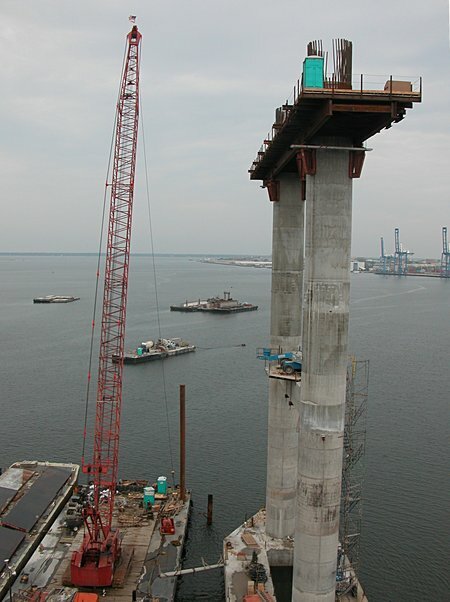 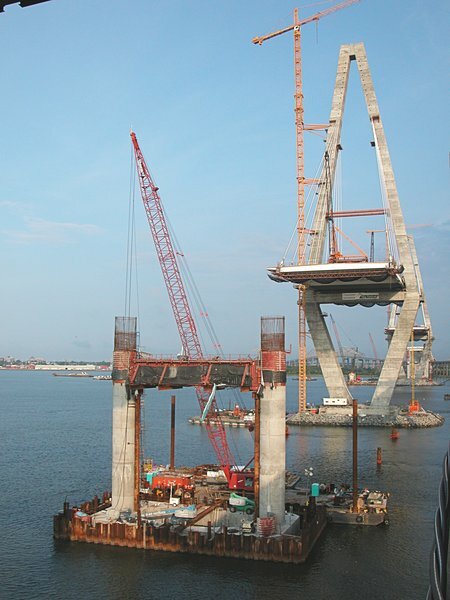 Last week, I sort of stumbled upon the placing of steel beams on their support piers and I got to thinking about the logistics and orchestration of the fabrication, transport, delivery, positioning and final attachment of all the zillions of pieces bridge stuff. 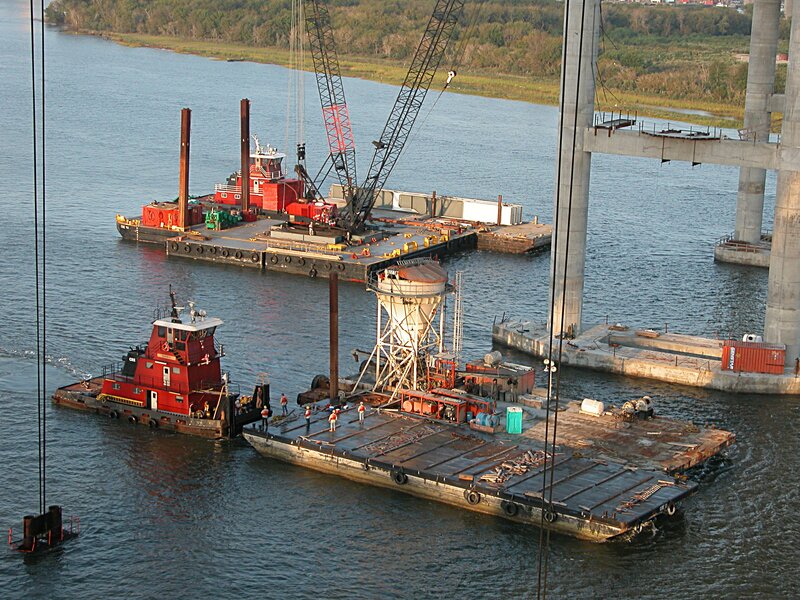 What does the staging of construction material delivery look like. 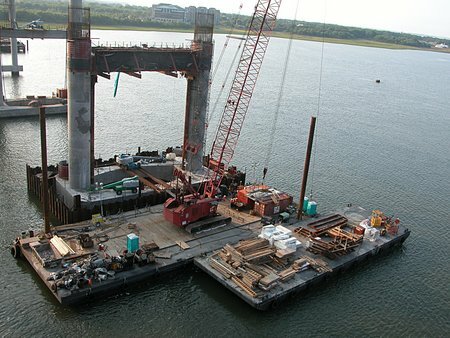 So this week, I focused on the construction of the circular piers as well as the bridge platform and noticed the barges aligned and ready to deliver the next batch of stuff. 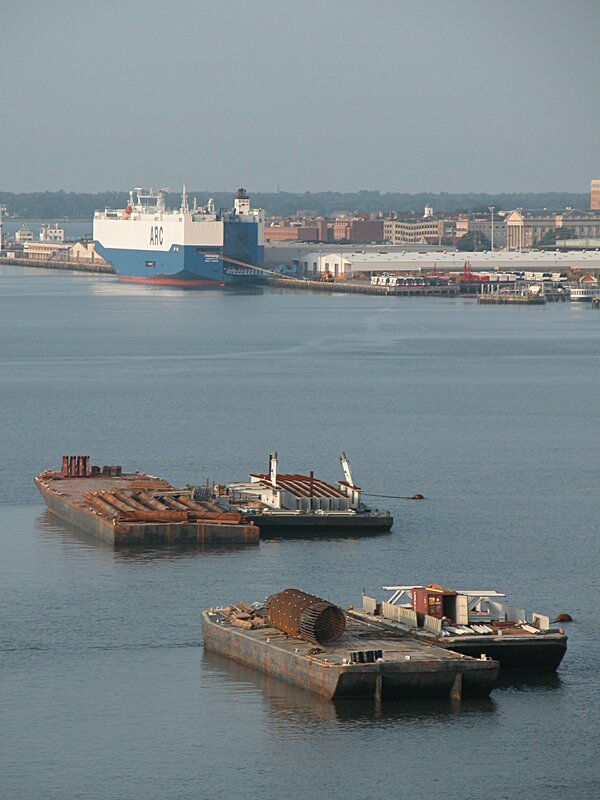 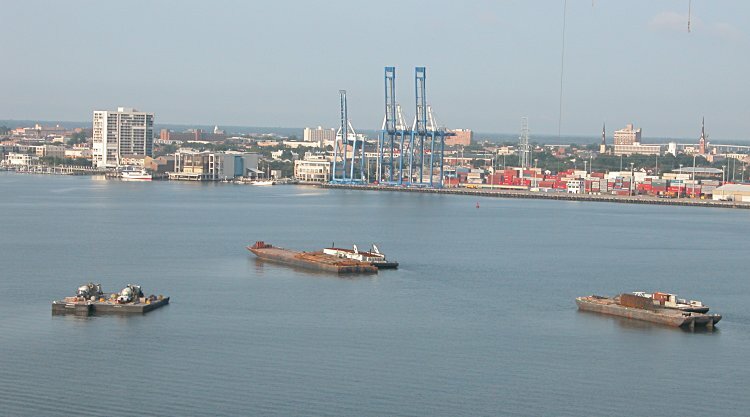 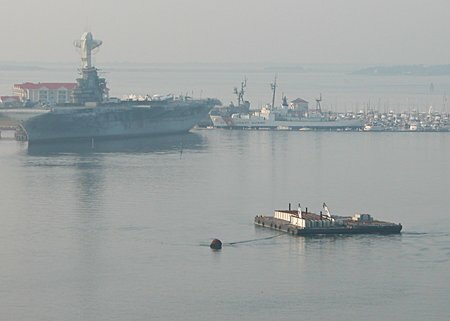 A line of barges with different construction materials - beams with attached cable anchors, cement trucks, circular forms and rebar. 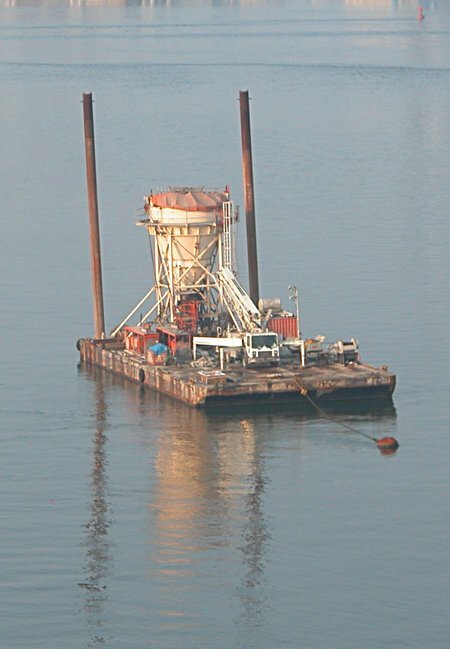 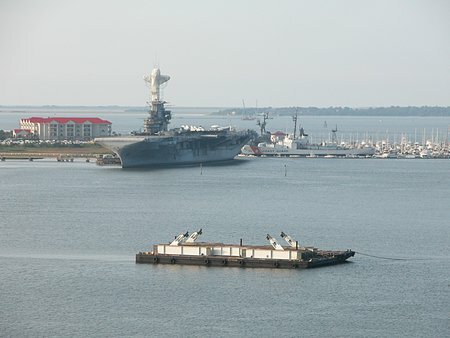 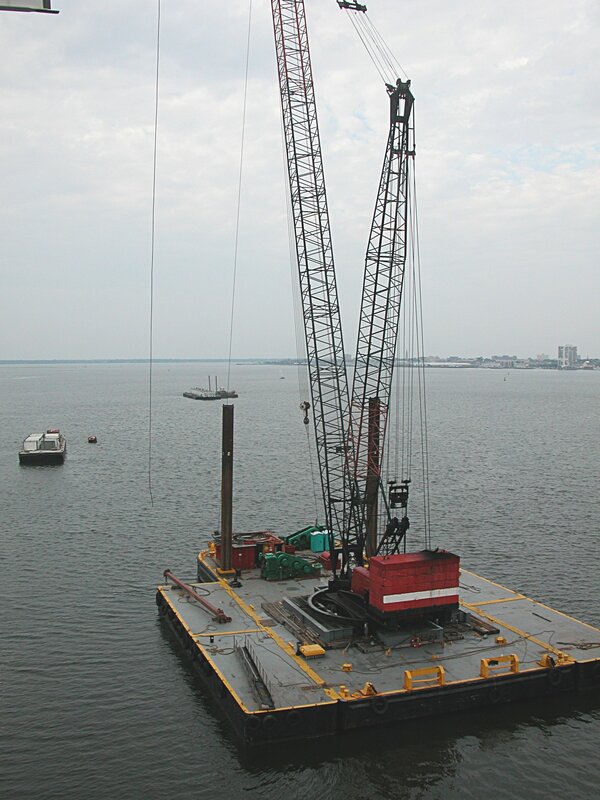 Note the two spuds to the left of the crane (click on the left image to see the full image) that anchor the crane to the river bottom. 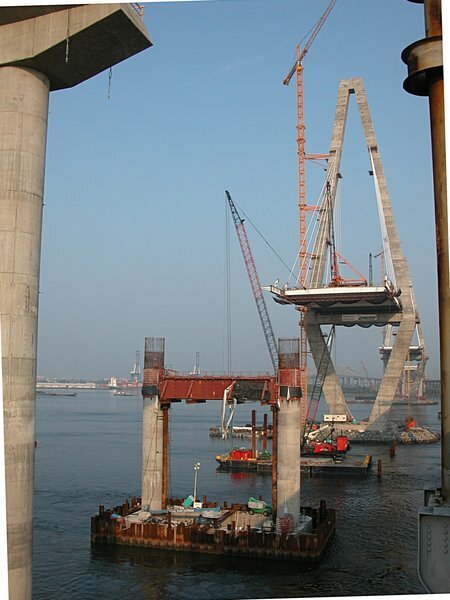 Much of the steel is fabricated by High Steel Structures. 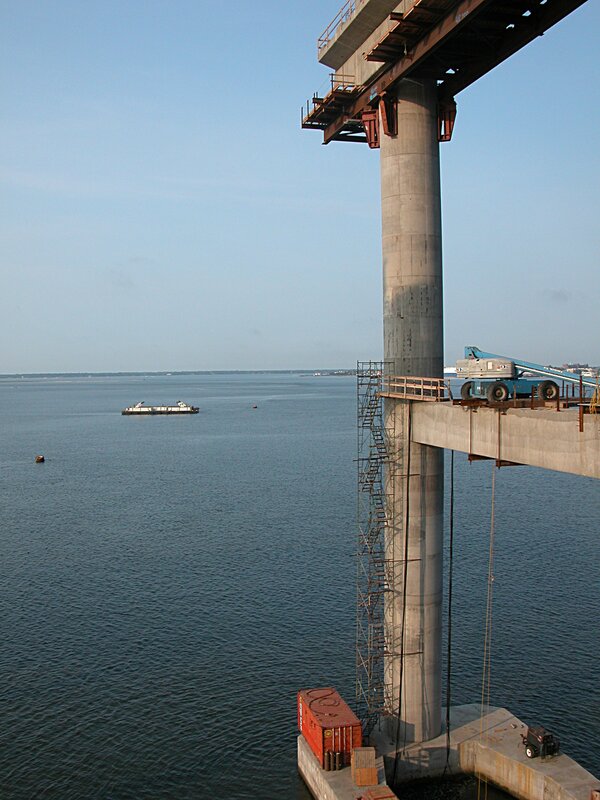 Here you can see the extension of the eastward platform, using two of the anchor beams shown above (July 4). That they have been used is illustrated in the left photo showing only 2 anchor beams on the barge in contrast with 4 beams last week (see above).